CHICAGO (WLS) -- Metra is adding extra early afternoon trains on the day before Thanksgiving, and offering a special $8 unlimited ride fare on Thanksgiving Day and Black Friday. Metra is operating special schedules ahead of and for the Thanksgiving holiday weekend in addition to the extra "get away" trains on Nov. 25. 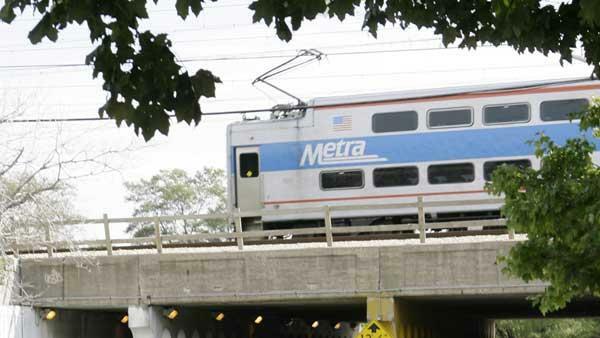 Trains will operate on Metra's holiday schedule on the holiday and regular weekday service the next day to accommodate Black Friday shoppers. Metra's BNSF Line to Aurora will also operate on a special weekday schedule with additional mid-morning service to help accommodate Black Friday shoppers. Schedules can be found on Metra's website.